The Lenovo IdeaPad 720S is a laptop with it all. It looks great, feels expensive, is powerful enough for most people’s needs and is even much better at gaming than virtually all style laptops twice the price. Those desperate to be negative could call it a jack of all trades. And, sure enough, you can find lighter, longer-lasting models if you look. However, at the price this is a jaw-droppingly versatile machine that is extremely likeable and a fantastic buy if you like to unwind with a game or two on occasion. While a lovely laptop even without its extra gaming cred, the Lenovo IdeaPad 720S’ discrete GPU is a key reason to buy. You don’t often see laptops this slim that can handle games reasonably well. The Lenovo IdeaPad 720S we’re reviewing costs £849. That gets you a Core i5 CPU, 8GB RAM and a 256GB SSD. This is the classic style laptop core spec for models hovering between £800 and £1000, although Dell charges £1149 for the closest Dell XPS 13. You can upgrade to the Core i7 model for £949, although as there’s no additional upgrade to the SSD or RAM, we don’t consider it as value-packed as the base model. 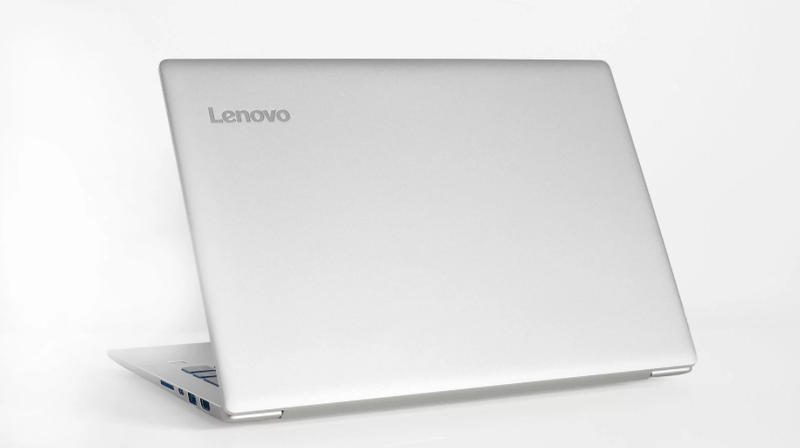 The Lenovo IdeaPad 720S comes with a one-year warranty. It’s not a collect-and-return one, though, demanding you send the laptop in or take it to a service centre. Looks are subjective, but we think the Lenovo IdeaPad 720S is a stunner in this class. Lenovo has a knack for making simple but attractive premium laptops. This is a great example of one. It’s all-aluminium apart from the keyboard keys and the glass over the screen, and unlike Asus and Acer rivals, Lenovo hasn’t embellished the IdeaPad 720S with any extra textures. Everything has a relaxed anodised finish. Some may find it boring. But we see new laptops all the time and to our eyes it’s clean, and has enough Lenovo flavour to avoid looking generic. 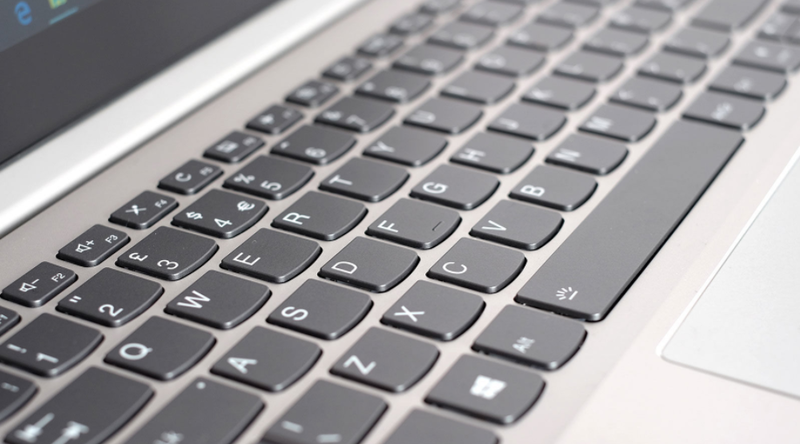 Look at the shape of the keys: Lenovo’s have an almost cutesy roundness that’s different from a Dell, Apple or Asus laptop. The Lenovo IdeaPad 720S is also one of the first slightly more affordable laptops to have a very slim screen surround. While we know £850 is a significant outlay for anyone, this is an alternative to laptops that cost well over £1000. 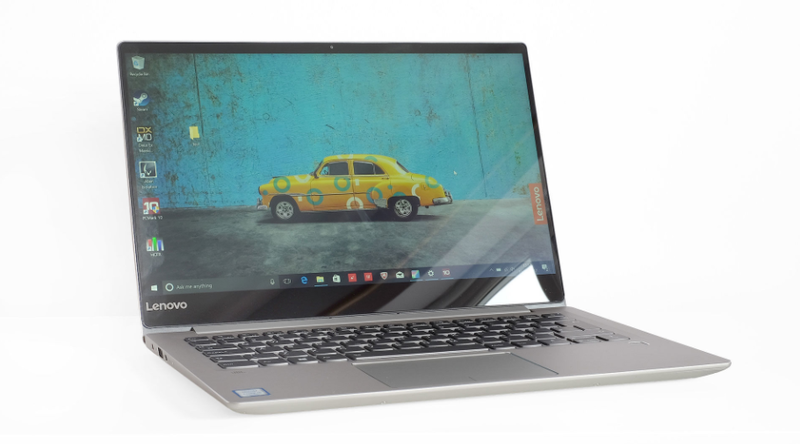 With just a 4mm between the end of the display and the edge of the laptop, the Lenovo IdeaPad 720S fits a 14in screen into the footprint of a traditional 13in slim laptop, like the older generation HP Envy 13. It’s rapidly becoming the norm for higher-end portable laptops, although the new Acer Swift 3 still has a thicker surround. Svelte display design aside, though, the Lenovo IdeaPad 720S doesn’t try to compete with the thinnest and lightest laptops around. It’s 16mm thick and weighs 1.55kg (our review model is 1492g according to our scales). That’s a couple of hundreds grammes heavy than some, but light enough for every day portable use. And, let’s not forget, the Lenovo IdeaPad 720S also has a discrete graphics chipset to weigh it down. Build quality is excellent for a sub-£100 laptop too. The screen doesn’t flex and the keyboard area is extremely rigid, similar to that of a MacBook. There are even some neat aesthetic touches we don’t expect in a laptop that keeps an eye on the budget. For example, the cut-outs for the connections on the sides are all bevelled rather than square-cut, exposing tiny slivers of bright, non-anodised aluminium. It demonstrates real attention to detail. 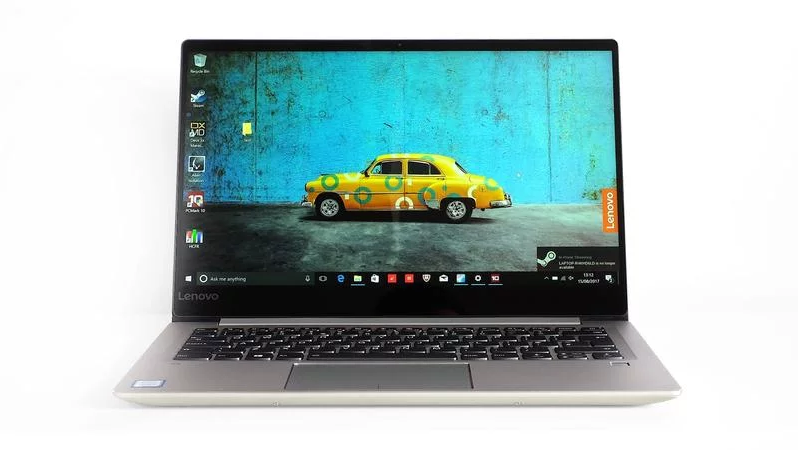 The Lenovo IdeaPad 720S also has connectors commonly being removed from today’s most fashionable laptops. As well as a Thunderbolt 3.0-compatible USB-C port there are two full-size USB 3.0s, a full-size HDMI and an SD card slot. 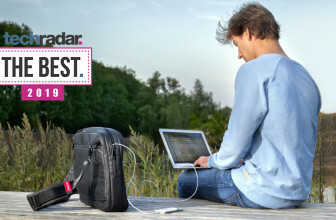 Your experience may vary, but it’s everything we look for in a portable laptop used daily for work. Other light laptops are starting to use USB-Cs to function as both power connector and data socket, but the Lenovo IdeaPad 720S still has a separate cylindrical power plug. We’ve already mentioned that the Lenovo IdeaPad 720S keyboard looks a little different from the crowd thanks to their curvy keys. However, the typing experience is familiar. The keys are slightly shallow, but have decent definition and reasonable resistance. Those desperate for a meatier feel should look at the Lenovo ThinkPad 13, although we’re confident most will get on with the Lenovo IdeaPad 720S’s just fine. It also has a backlight. Press the Fn key and the space bar and the under-key LEDs cycle between two intensity levels, providing a soft white/blue glow for late-night typing. We’re also rather impressed by the trackpad. This is one of the more affordable laptops we’ve seen recently to use a textured glass pad rather than a plastic one. It offers a smoother glide. The ThinkPad X1 Carbon’s is softer and smoother still, but that laptop also costs £800 more. Next to the pad sits an indented fingerprint scanner. It lets you login to windows securely with a quick press, and is among the more reliable we’ve used. Laptop finger scanners are often a little flaky, requiring a few attempts to work. However, the Lenovo IdeaPad 720S seems to work every time. Like the Acer Swift 3, one feature the Lenovo IdeaPad 720S lacks is an ultra-high resolution screen. 1080p resolution across 14 inches makes pixellation fairly obvious if you look for it. However, most rivals charge more for a true high-res panel, including the Dell XPS 13. The HP Envy 13 has even dropped from 3200 x 1800 resolution to 1080p in its latest iteration. Strangely, it was easier to get a sub-£1000 high-res laptop a year or two ago. 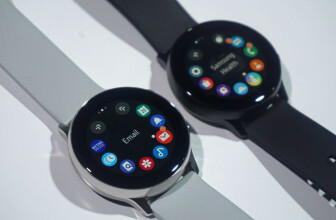 This isn’t a touchscreen, despite having a tablet-like glossy, glass-topped finish. The Lenovo IdeaPad 720S is a laptop without even a hint of hybrid to it. Colour and contrast are good, however. The Lenovo IdeaPad 720S covers a respectable, if not truly impressive, 80.9 percent of the sRGB colour standard, 57.6% of Adobe RGB and 60.3 percent of DCI P3. It’s not deep enough for design pros, but thanks to very good contrast it’ll do the trick for the rest of us. 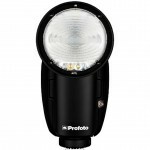 Contrast is 1023:1, enough to make blacks look convincing even in a low-lit room. Given the glossy surface, though, we’d have liked to see slightly higher brightness. The Lenovo IdeaPad 720S reaches a respectable 305cd/m² at max backlight, but others get closer to 340-350cd/m². This will be useful on a sunny day. However, it is still significantly brighter than the new Acer Swift 3. The Lenovo IdeaPad 720S has a 7th generation Intel Core i5-7200U processor with 8GB of DDR4 RAM. For an extra £100 you can upgrade to the i7-7500U model. For the kind of uses that suit this portable laptops best, though, many may not notice that much difference between the two. 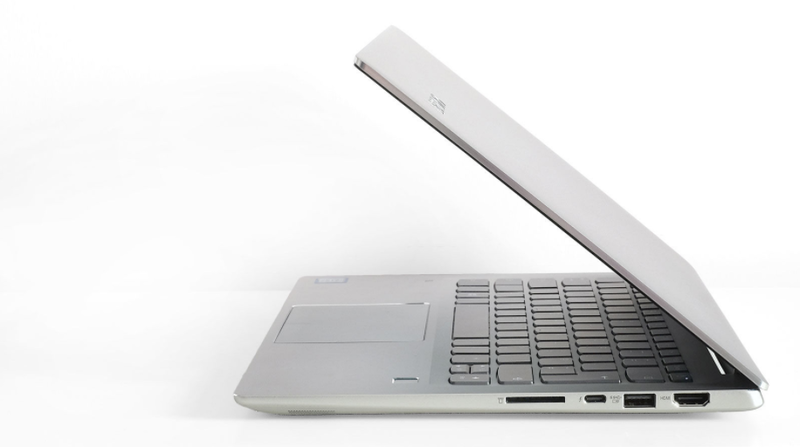 The Lenovo IdeaPad 720S is a quick and responsive laptop. Day-to-day this is improved by the responsive and reliable finger scanner, and fast all-SSD storage. The 256GB drive reads at 1558MB/s and writes at 595MB/s. While not the absolute fastest by current SSD standard, it’s enough to make the laptop feel much quicker than any hard drive model. There’s enough power and RAM to let you use apps like Photoshop, and to browse away with far too many windows open without the Lenovo IdeaPad 720S slowing to a crawl. We did notice, however, that benchmark scores are slightly lower than some laptops we’ve reviewed with the same CPU. For example, it scores 6940 in Geekbench 4, where the Acer Swift 5 managed 7424. Geekbench 4 results vary a little between attempts, but a consistent slight lowering of performance suggests some throttling. This will be in order to keep temperatures at manageable levels. The Lenovo IdeaPad 720S’s fan system is reasonably quiet even under stress, and in our experience its rpm (speed) doesn’t jump about too much. This helps it avoid becoming too intrusive. However, like most slim laptops the fan has a relatively small diameter, so does become fairly high-pitch under pressure. This is among a new wave of laptop with real, if modest, gaming abilities. 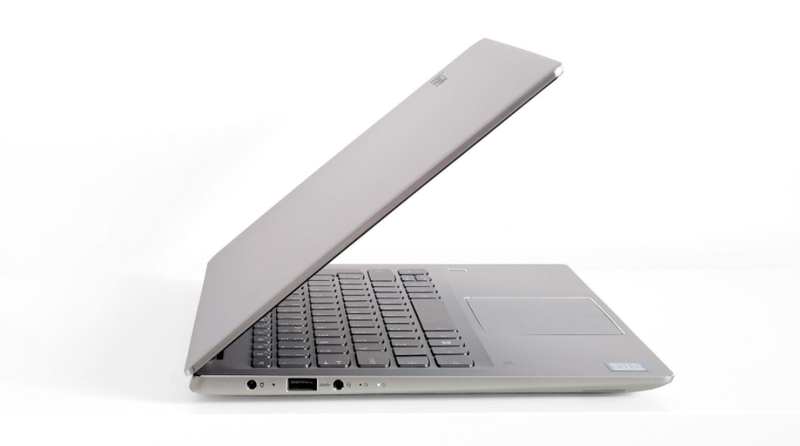 As well as a Core i5 processor, the Lenovo IdeaPad 720S has an Nvidia GT940MX GPU with 2GB RAM. 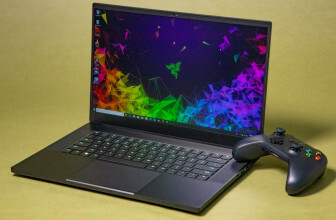 It makes playing modern games for more enjoyable than most other slim laptops, with up to double the frame rates of a machine using an integrated graphics chipset. For example, Alien: Isolation runs at an average of 64fps at 720p, low settings rather than around 30fps. This gives you much more headroom to make the game look better. At 1080p, maxed settings it runs at an average 26.4fps. That’s below the ideal minimum of 30fps, but shows that if you fiddle with the settings a little you’ll be able play comfortably in Full HD. A more demanding game like Deus Ex: Human Revolution shows that the GT940MX isn’t a replacement for a higher-end rig, though. At 720p resolution, low graphics, the game is playable at an average 29.2fps. However, at 1080p ultra it plays at a very slow 10.3fps. Given the Lenovo IdeaPad 720S is 15mm thick, 1.5kg and not ridiculously expensive, we think this sort of gaming performance is great. However, there’s just one issue: the GT 940M is now an older chipset, and Nvidia has already released a next-generation follow-up, the MX150. We haven’t reviewed a laptop with this graphics processor yet, but early indications suggest a worthwhile 33 percent boost. HP already uses the MX150 in its 2017 model Envy 13, which is £100 more expensive than the Lenovo IdeaPad 720S but otherwise looks very appealing. That’s something to think about if you’re intending on playing games. The 720S has a four-cell 56Wh battery, a non-removable unit of solid if ‘normal’ capacity. 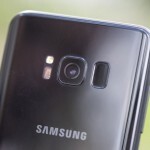 It had us worrying the use of discrete graphics might lead to uninspiring battery life. We needn’t have worried. When playing back a 720p video on loop, the Lenovo IdeaPad 720S lasts 12 hours 5 minutes, a very respectable upper-ranking result. As long as you keep the exertion level reasonably low, you’ll easily get a full day’s work out of a charge. Unusually, this is when the laptop is used at 79% screen brightness too. This isn’t something to get excited about, though. The Lenovo IdeaPad 720S uses a rather odd brightness curve that only reaches our test level of 120cd/m² at that point. It’s the sort of brightness you might use indoors. The Lenovo IdeaPad 720S speakers are solid too, if a little too reliant on their Dolby Atmos processing. This maximises the impression of volume using dynamic compression: so the solo guitar into to a song might sound very loud, only to drop in volume as the rest of the band come in. Actual volume isn’t close to that of a MacBook, but there is at least enough richness to the sound to avoid a thin, ugly tone.